Alleviate is a cool, penetrating muscle rub for topical application before, during, or after vigorous exercise. Prior to exercise it can help you feel invigorated and limber; after exercise it can aid your body in recovering from strenuous activity. You need water and you need oxygen. If you exercise, you need a lot more of both. Athletic Super Water gives you super oxygenated water to quench your thirst and support enhanced uptake of oxygen and nutrients. Athletic Super Water contains up to 400% more soluble oxygen than normal tap water - oxygen that can help fuel working muscles and biosystems. 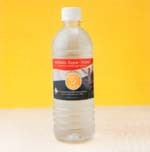 The molecular micro-cluster delivery system also promotes rapid hydration, enhanced energy and physical stamina. 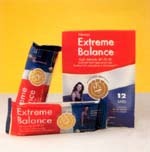 A high intensity balanced energy bar fortified with antioxidants and MicroLactin. Provides 40% of your daily recommended kilojoule intake of carbohydrates, 30% of protein, 30% of unsaturated fats and high percentages of vitamins and minerals. Caution: Not to be used by pregnant woman or children under the age of 16. Please refer to packaging for full warnings. 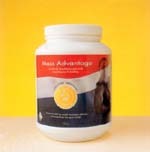 Mass advantage gives you the advantage when it comes to bulk and body mass. The ingredients - Microlactin, ZMA and protein blend - make this delicious shake a powerful support drink. Microlactin, a milk micronutrient compound, provides your body with amino acids. ZMA provides a powerful blend of amino acids, minerals and Vitamin B6. The third ingredient is a powerful protein blend that supplements your daily protein intake. Amino acids are the building block of the protein in our body. The professional strength version of Mass advantage features higher concentrates of Microlactin and ZMA for even better results. The chemical reactions that produce energy in your body are complex and diverse. Neways Optimal Muscle Fuel supplies your body with creatine and D-ribose, two of the chemical raw materials your body uses to produce energy. Creatine, for example, assists in the body's processes of storing energy in muscles and releasing that energy according to physical demands. D-ribose helps to produce the energy required by muscle cells for strength. 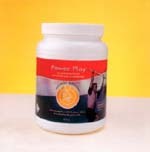 Drinking a Power Play shake is like drinking instant energy. Power Play contains a combination of minerals, electrolytes, simple sugars and complex carbohydrates for fitness. 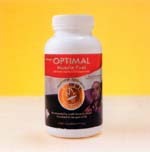 Electrolytes, in proper quantity and balance, support normal metabolism. 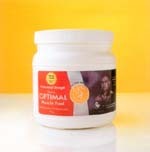 Minerals fortify your diet, while simple sugars provide an instant form of fitness energy. Complex carbohydrates are a source of time-release energy for endurance and recovery. The pinitol supplement Inzitol supports glucose metabolism which also promotes instant energy.